Tue., 11 Jun. - Thu., 4 Jul. Sat., 6 Jul. - Wed., 31 Jul. Situated in Falconara Marittima, this hotel is within 9 mi (15 km) of Ancona Hospital, Lazzaretto of Ancona, and Teatro delle Muse. Loggia dei Mercanti and Chiesa di Santa Maria della Piazza are also within 9 mi (15 km). Falconara Marittima Station is 14 minutes by foot and Falconara Stadium Station is 29 minutes. 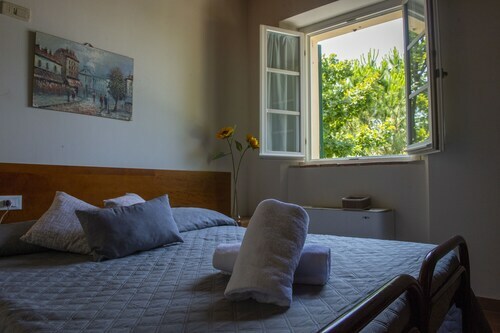 Situated in Falconara Marittima, this guesthouse is within 9 mi (15 km) of Ancona Hospital, Teatro delle Muse, and Porto di Ancona. Cathedral of San Ciriaco and Conero Regional Park are also within 9 mi (15 km). Falconara Marittima Station is 15 minutes by foot and Falconara Stadium Station is 19 minutes. 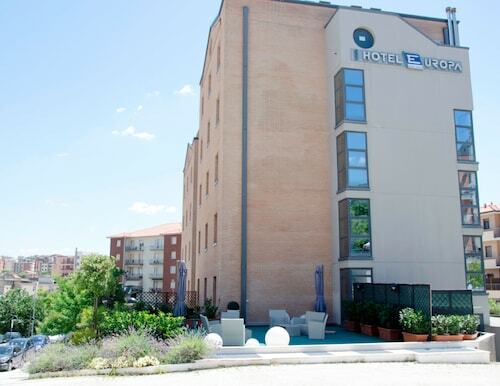 Situated in Ancona, this hotel is 0.7 mi (1.1 km) from Ancona Hospital and within 3 mi (5 km) of Lazzaretto of Ancona and Teatro delle Muse. Loggia dei Mercanti and Chiesa di Santa Maria della Piazza are also within 6 mi (10 km). Ancona Torrette Station is only a 3-minute walk. 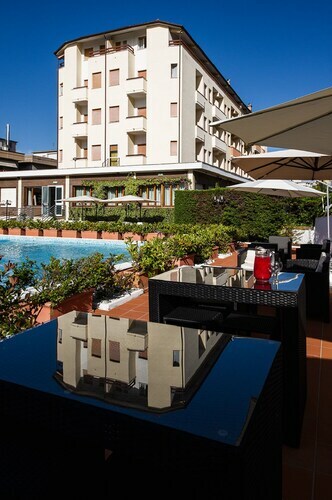 Situated in Montemarciano, this hotel is within 9 mi (15 km) of Rotonda a Mare, Rocca Roveresca Castle, and Porto Senigallia - Penelope Statue. Shrine of Our Lady of the Rose and Church of the Brugnetto are also within 12 mi (20 km). 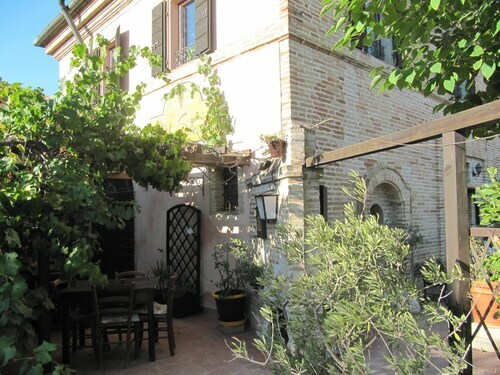 Situated in Montemarciano, this bed & breakfast is within 9 mi (15 km) of Rotonda a Mare, Theater La Fenice Senigallia, and Palazzo Mastai. Garibaldi Senigallia Square and Portici Ercolani are also within 9 mi (15 km). Montemarciano Station is 9 minutes by foot. 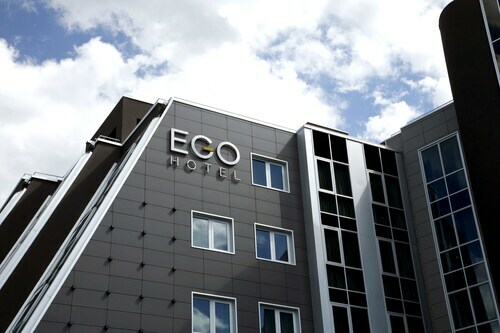 Situated in Ancona, this hotel is 0.6 mi (0.9 km) from Ancona Hospital and within 6 mi (10 km) of Lazzaretto of Ancona and Teatro delle Muse. Loggia dei Mercanti and Chiesa di Santa Maria della Piazza are also within 6 mi (10 km). Ancona Torrette Station is 7 minutes by foot. 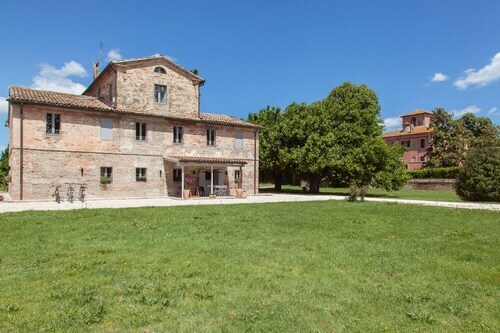 Situated in a rural location, this country house is within 6 mi (10 km) of Teatro Pirata, Teatro Studio V. Moriconi, and Teatro Comunale G. B. Pergolesi. Sports Hall Ezio Triccoli and Shrine of Our Lady of the Rose are also within 12 mi (20 km). 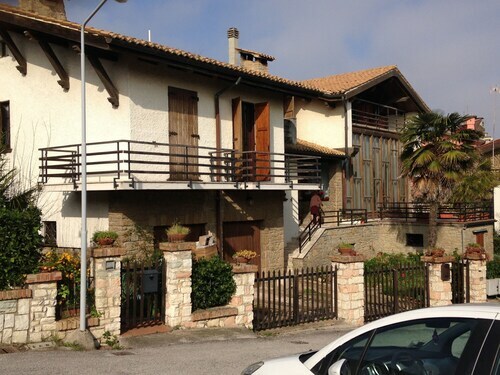 Situated near the airport, this apartment building is within 6 mi (10 km) of Lazzaretto of Ancona, Teatro delle Muse, and Porto di Ancona. Arches of Trajan and Diocesan Museum are also within 6 mi (10 km). Palombina Station is 14 minutes by foot and Falconara Marittima Station is 28 minutes.